Hundreds of Niagara University students gathered in the O’Shea Quad Saturday afternoon to participate in a free outdoor carnival that featured interactive games like human foosball and obstacle courses, in addition to rides, prizes and, of course, plenty of complimentary food. By nightfall, the carnival space had been transformed into an outdoor concert venue, where the Plain White T’s thrilled concertgoers with their string of platinum-selling singles, including the megahit “Hey There Delilah.” The national recording artists were preceded onstage by First Ward, a band fronted by 2004 NU alumnus Zak Ward. 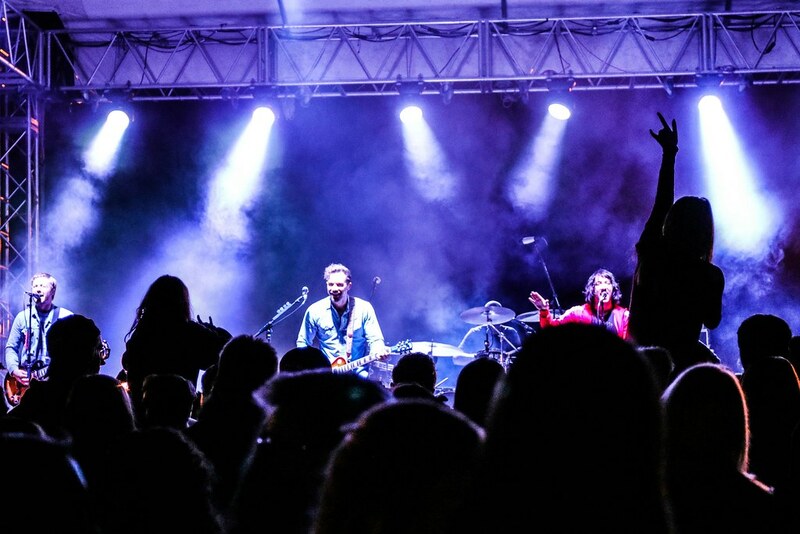 The annual celebration of FirstFest is sponsored by the Niagara University Student Government Association, Campus Programming Board and Traditions Committee. It’s coordinated by the Office of Campus Activities. Photos by Andrew Emmons, a Niagara University senior studying communications and criminology and criminal justice.